Alexandr Rublev was born on November 18, 2005 in Moscow. He has been studying Music since he was 5. 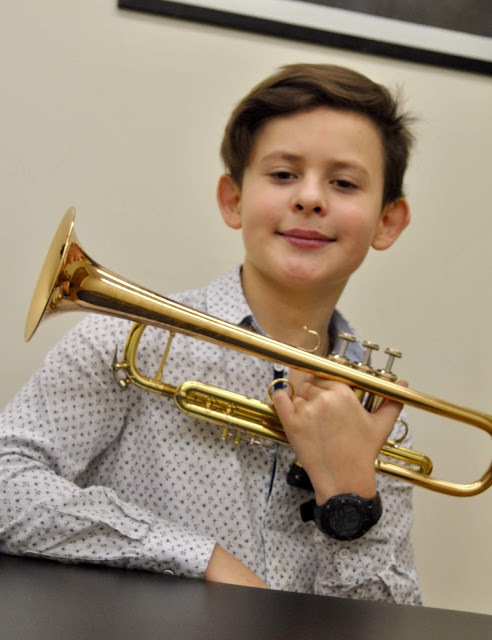 When Alexandr was 6 years old, he chose trumpet as his specialization. He has been studying at Gnessin Moscow Special School since 2013 (he passed exams to enter his second year in School). Alexandr's teacher is Honored Artist of Russian Federation, professor of Gnessin Russian Academy of Music - Vladimir Pushkarev. Alexandr Rublev often participates in many concerts on different stages of Moscow such as The Beethoven's hall of The Big Theatre, The Tchaikovsky Concert Hall, Moscow International House of Music. He is also a member of famous Loctev ensemble. Alexandr Rublev is a prizewinner of a lot of All-Russian and International competitions. Alexandr is a holder of fellowships of Vladimir Spivakov International Charity Foundation and "New Names" Charity Foundation.